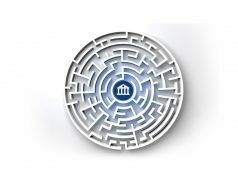 Ahead of the Temenos Community Forum (TCF) 2019 FinTech Futures asked Jean-Michel Hilsenkopf, COO and member of the executive committee at Temenos, about the major themes in banking today. Are banks sufficiently prepared for the digital future and what should be top of their agenda? End-to-end digital transformation will deliver the ultimate returns for banks. They all want it but see a difficult journey ahead. They understand the urgency but face the challenges of cost, legacy systems and agility. Only about 20% of banks have started that journey. Yet more and more will, as their customers increase pressure on them to deliver the types of products and services they want and as they have to respond to competition from newcomers – be that fintechs or tech giants. This will force banks to think about the digital issue in its entirety – from the front to the back end. They need to lower their cost base, become more profitable, innovate and create new products and services quickly. But digital transformation doesn’t need to be complex, lengthy and costly, provided you choose the right technology partner. At Temenos we believe in integrated, packaged, open upgradeable software and we combine the richest functionality from 3,000 banks in over 150 countries with revolutionary cloud-native, cloud-agnostic technology. Our goal is to offer banks a dramatically lower-cost, faster route to deploying software, providing them with greater agility and accelerating the speed of innovation. Which banks have successfully applied digital transformation initiatives and what could others learn from them? Bank Leumi is a great example of an incumbent bank that has embraced transformation. Its digital bank, Pepper, was launched in Israel in June 2017 and runs on Temenos T24 Transact – our core banking product. Being digital since its inception, there are no hangovers from any legacy systems so it can launch new products and services quickly and efficiently – there is a key lesson in that. It’s a parallel bank model and proving hugely successful, so much so that Leumi has just announced it is exploring how to launch Pepper in the US. Judo Capital is another example of a neo bank in Australia focused on the SME market, which is about to go live with Temenos Infinity (an omnichannel platform) and Temenos T24 Transact. The bank leverages our Australian model bank and the cloud to launch faster with the lowest TCO. Which emerging technologies do you see as game-changers and will have the greatest impact on banking? What is Temenos doing in these areas? Temenos is innovating on all fronts. With our API-first technology, Temenos Infinity and Temenos T24 Transact can connect in a fast and controlled way between products, systems and third parties. We also just launched our Temenos Developer Portal with an extensive library of over 400 published APIs. This is open to clients, partners and any third-party developers enabling them to innovate at speed and accelerate time to value. Open, API-first technology, combined with an extensive community of developers, massively reduces the cost of deployment. We also introduced the Temenos Continuous Deployment SaaS product, based on DevOps principles. By adopting a “code in the morning, deploy in the afternoon” approach, Temenos Continuous Deployment can reduce the time required to develop, test and release software changes from months to days or hours. This dramatically cuts down project costs. Clearly, AI is also one of the most exciting emerging technologies for banks. It really will help them innovate across the full spectrum of operations. At the front end it will allow banks to deliver highly personalised services quickly, and at the back end it will enable them to automate processes, bring down costs and switch investment towards revenue-generating activities. The other big development building momentum in the industry – but admittedly not an emerging technology – is cloud. Temenos has been a leader and a pioneer in the cloud. We were the first to put core banking in the cloud in 2011, and recently we launched two very important products, Temenos Infinity and Temenos T24 Transact – both are cloud-native and cloud-agnostic. The former is a breakthrough digital front-end product and the latter is our next-generation core banking product. These two pre-integrated products dramatically reduce the cost of software deployment and bring down the barriers for banking transformation. Temenos has been extending its influence across banking technology in the past few years with new product launches and acquisitions. Could you tell us more about your strategy? In simple terms our strategy is to ensure our clients’ success. Temenos’ vision is to dramatically reduce the cost of deploying software by providing banks with greater agility and accelerating the speed of innovation. Traditionally up to 70% of a bank’s cost of IT renovation consists of integration, deployment, testing and configuration. The only way to reduce this cost dramatically and improve functionality significantly is firstly by using integrated, open, upgradeable, rich and proven packaged functionality combined with revolutionary cloud technology. Secondly, is by renovating the end-to-end stack by building a new stack and continuously migrating new products and customers. We call this Build and Migrate continuously. We offer integrated, open software which operates on the most advanced cloud-native, cloud-agnostic technology. But most importantly it is packaged and we invest heavily in its constant improvement based upon input from our client community – the largest in the world. We are thought leaders and have been at the forefront of innovation. We were the first to offer a core banking system with real-time 24/7 capability, the first to launch a core in the cloud, and first with MarketPlace, our online digital store with over 150 financial software products. We invest aggressively in our product roadmap and constantly ensure that we stay at the forefront of innovation; over 20% of our annual revenues goes into R&D, which is the highest in our industry. Your launches this year include two new cloud-native, cloud-agnostic products, which you describe as revolutionary. What makes them so different? We are the only banking software vendor to offer the most complete functionality combined with most advanced cloud-native, cloud-agnostic software products. Both Temenos Infinity and Temenos T24 Transact have built-in functionality developed from working with more than 3,000 banks for 25-plus years in some 150 countries. Taken together, this means they allow us to take a bank through a digital transformation faster and at lower cost and risk than any other vendor. This is what makes them so different. Last year and the first quarter of 2019 have been very busy for you, and you’ve announced several major deals. Are banks worldwide hungry for core banking transformation? What is the secret of your success? Our success goes back to our founding principles – to concentrate on delivering the best integrated, packaged, functionally rich and proven, open, upgradeable banking software possible. 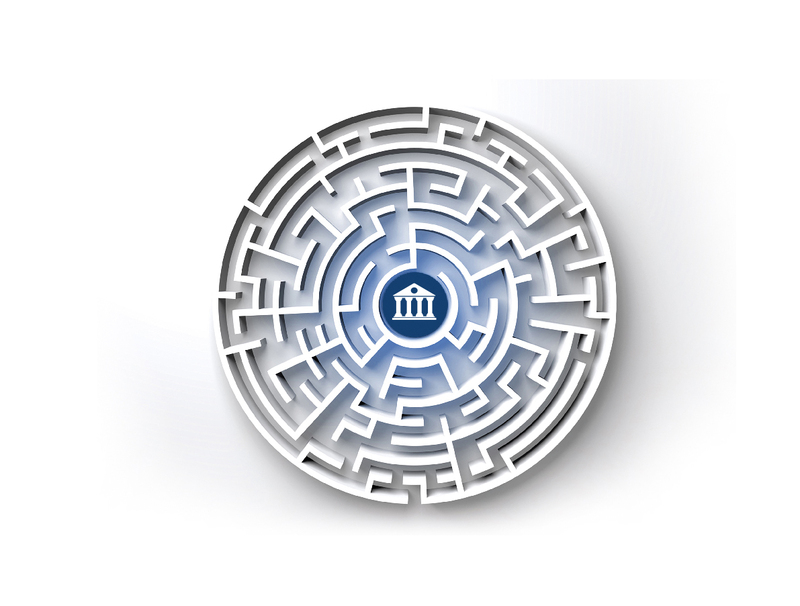 We offer pre-integrated software so banks can implement a complete stack from Temenos avoiding the integration costs with home grown solutions and legacy systems. We offer wide, out of the box functionality from all segments of banking – which means that banks don’t need to spend time and effort to develop it themselves. And we can deploy the software continuously. We offer a “code in the morning, deploy in the afternoon” approach. This results in 100x more and faster testing and allows banks to accelerate innovation and have a faster time to value. This dramatically reduces implementation costs and risks. As for growth, the potential is global. Europe is our powerhouse, next is the US where business is accelerating as banks embark on digital transformation projects and neo banks come at the forefront. The Avoka acquisition will be key. It has given us further momentum, but we’ve also recently made some important strategic deals such as with PayPal, and signed a top-tier US bank to Temenos Infinity. The market there is changing rapidly, and when it can see successful Temenos banking transformations and neo banks it helps us win business – people just need to look at Varo Money, Commerce Bank and PayPal. Temenos recently went through a management change and has many new initiatives. What excites you most and what can we expect from 2019 and beyond? Working at Temenos is unlike working anywhere else. It’s what we call “Temenosity”. It’s about having the audacity to do things differently; the integrity to do it right; and the passion to get it done. This is what excites me and makes me happy to come to work every day. We’ve got the resources to invest aggressively in our product roadmaps – 20% of our revenues every year go into R&D, more than any of our peers in the market and more than a tier 1 bank could afford to invest in banking software innovation. But we’ve also got the agility of a start-up, so we always stay ahead of the market and get things done very fast. I think this is what lies behind our winning strategy – that and our great team. We’re all focused on building the future of banking, based on 25 years of innovation and excellence, as we enter our next phase of growth. 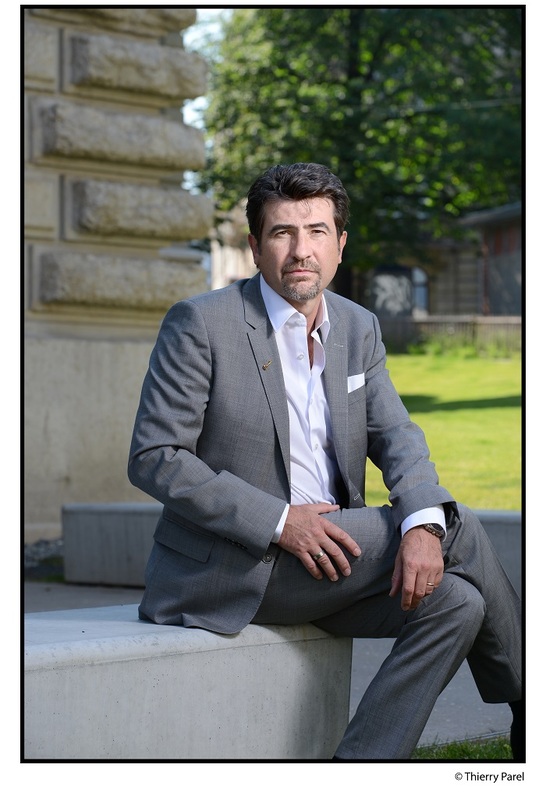 Jean-Michel Hilsenkopf is chief operating officer (COO) of Temenos and a member of its executive committee. He is one of the original members of the company, having joined in 1993. His deep understanding of the company, its culture, and passion for delivery gives him the vision to drive the strategy forward. Prior to taking up his current role, Hilsenkopf was chief revenue officer. He previously held the position of managing director for Temenos in Europe, Middle East, Africa and Latin American regions, as well as Temenos Cloud, regional general manager for Europe. Hilsenkopf has also successfully integrated several acquired companies, such as Odyssey and Viveo. Before joining Temenos, he worked as a consultant in the banking sector. This article is also featured in the April 2019 issue of the Banking Technology magazine. Click here (or on the image below) to read the digital edition – it is free! Introducing Infinity and T24 Transact.